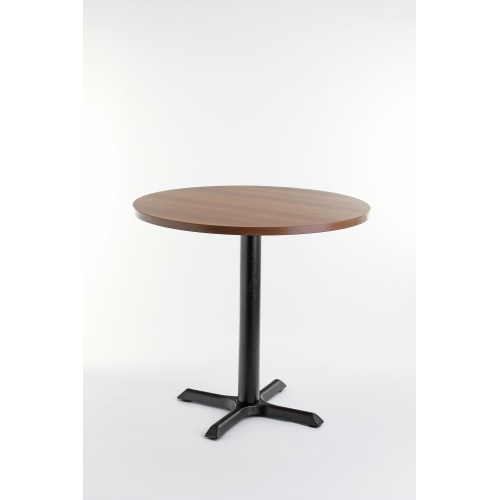 The Merit Round Dining Table is a popular table for all manner of busy commercial venues. 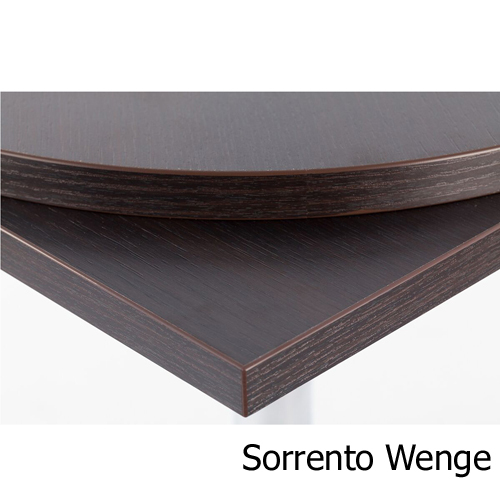 With the wide choice of colours, sizes and related products, the Merit Dining Range can suit your needs and wants. The Merit Table Range is made up of a 25mm Laminate MDF core with a 2mm matching ABS edge & a square profile and a stainless steel cast iron base. 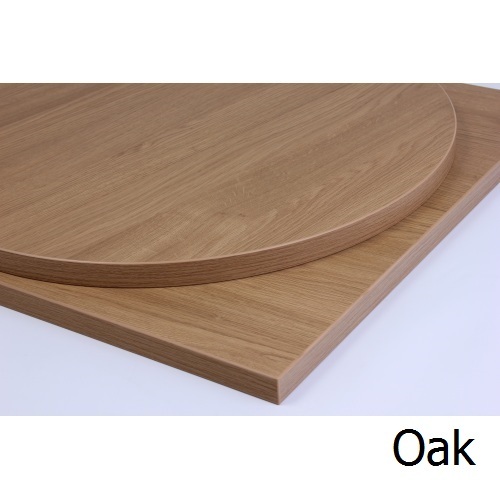 Our laminate tops are made in the UK. 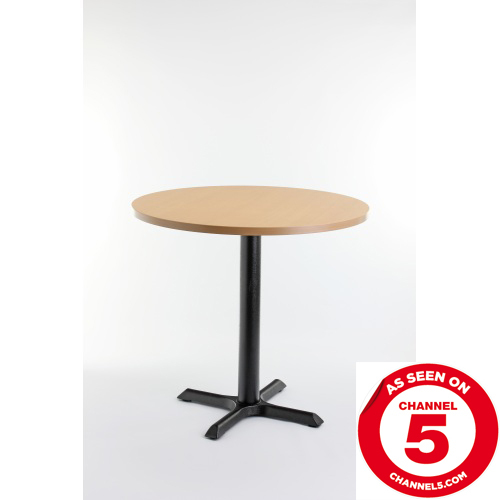 We also offer this table with a 50mm thick top. 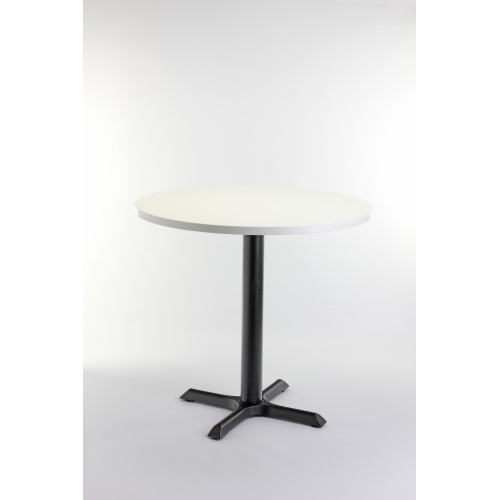 This extremely durable item comes with height adjustable feet & a cast iron weight within the table base. 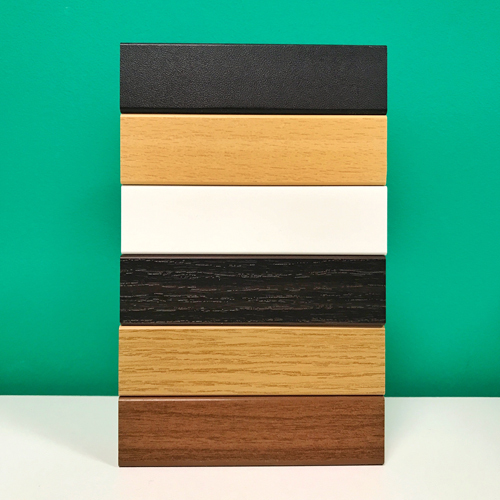 Our laminate table tops can withstand heats up to 180 degrees centigrade, meaning there is no need for place mats or table protectors. 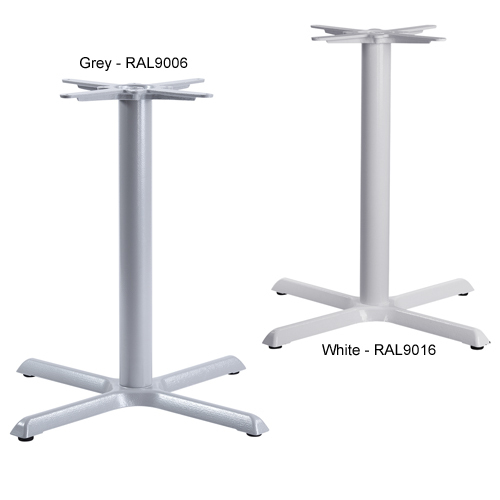 Laminate table tops can also withstand harsh cleaning products such as antibacterial cleaner. 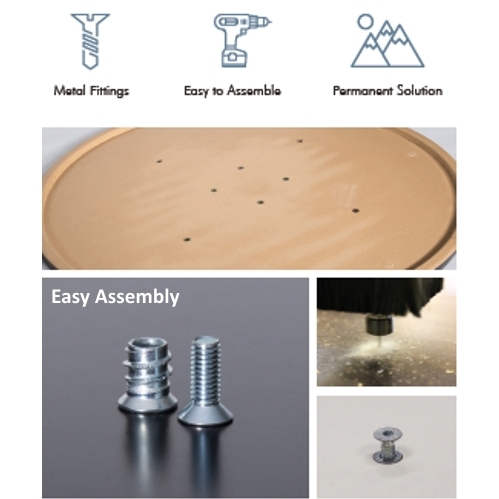 Have you heard about the exciting new Easy Assembly* option on this table? Save time and labour on measuring and drilling, take advantage of longer-lasting metal-on-metal fixings that form a sturdy bond between base and top - Easy Assembly is finally here! These come with a 3 year guarantee so you can have peace of mind for years to come. Held in stock for delivery in 2 working days. This item requires basic self assembly. 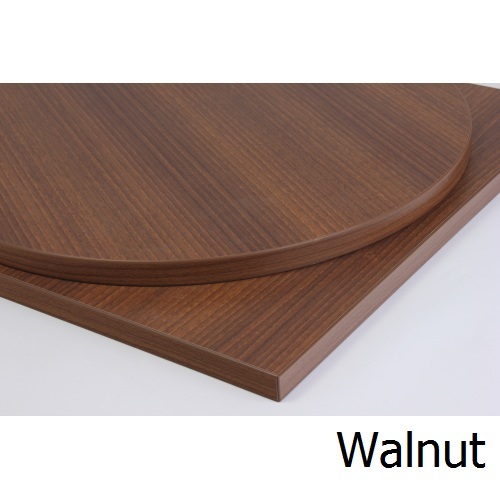 We offer this table range in Coffee, Dining and Poseur Heights as standard. 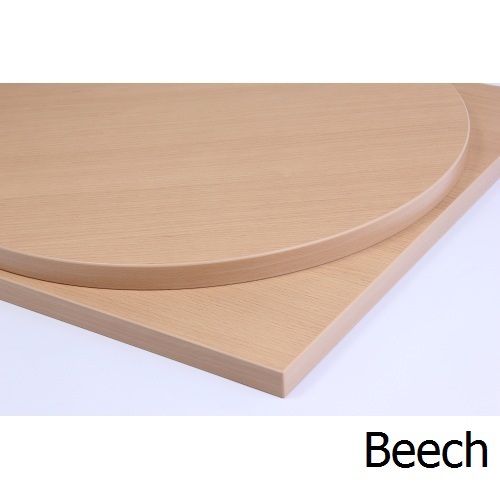 We can cut these table bases to a custom height if you require, for a small extra cost. Standard sizes are listed below. 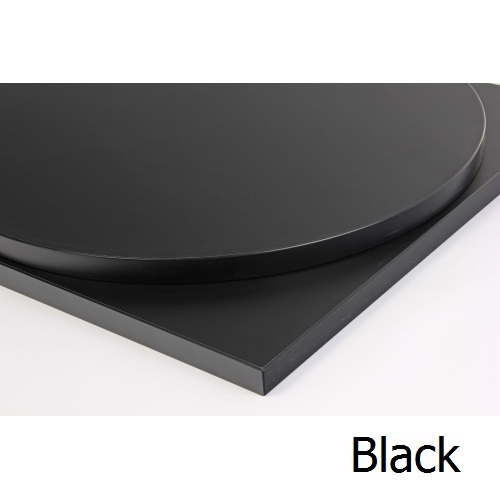 *Easy Assembly is available as an optional extra - providing you with pre-drilled tops with metal inserts fitted in. Also comes with 8 x M6 screws that screw into these inserts. 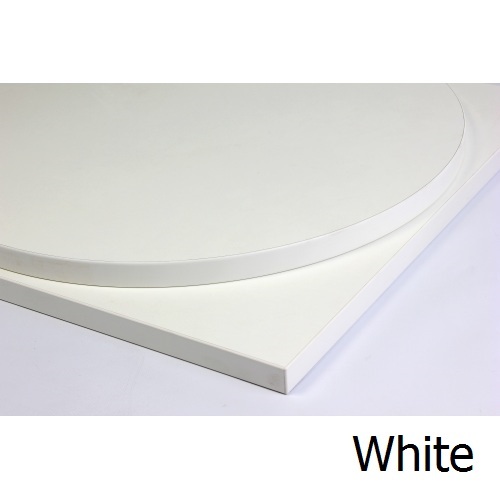 If you do not select this option, your tops will not come pre-drilled.